So, you’ve got an interview. You’ve practiced your answers and researched all the details that go into the position. But how’s your design portfolio looking? It should go without saying that, as a designer, your portfolio should be up-to-par with your designing talents. In my experience, there are a several things you can do to ensure that you have a successful interview. Got a notepad? Let’s just started! We get it. You know a few things about visual design. But what about the other interesting talents you have to offer? Your design portfolio should demonstrate a wide range of experience. Your portfolio is the time to show off your breadth of knowledge and what you’re proud off. Got a personal project you’ve been working on? Add that! No one wants to see that half-a**ed brochure you made for a class, but everyone wants to see projects that look like a lot of hours and a lot of heart went into. Of course, remember that everything you put in your portfolio must have a purpose. Which beings us to point number two. A wireframe comp I made for our work with the American Red Cross. While you might want to show off your skill range, I’d rather see a portfolio that has been edited with careful consideration of each element. Your interviewer doesn’t need to see every single piece of work you’ve ever done—especially if it doesn’t relate to the job in question. Be selective! Take your time to decide what works and what doesn’t. Just make sure your portfolio never reads and feels like an afterthought. 3. Be Online, and Promote Yourself! 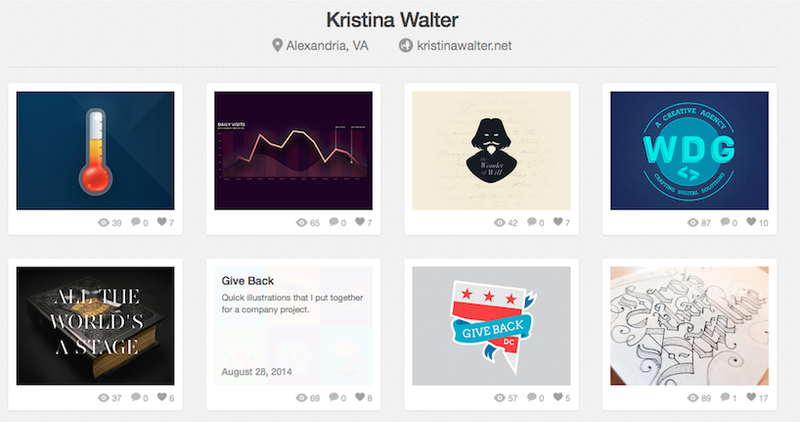 My Dribbble shows a lot of different work I do—for clients, and for myself. If you’re not online, you better get your design portfolio up there. Why? From a marketing standpoint, having an online portfolio is like having a digital billboard working for you at all hours. 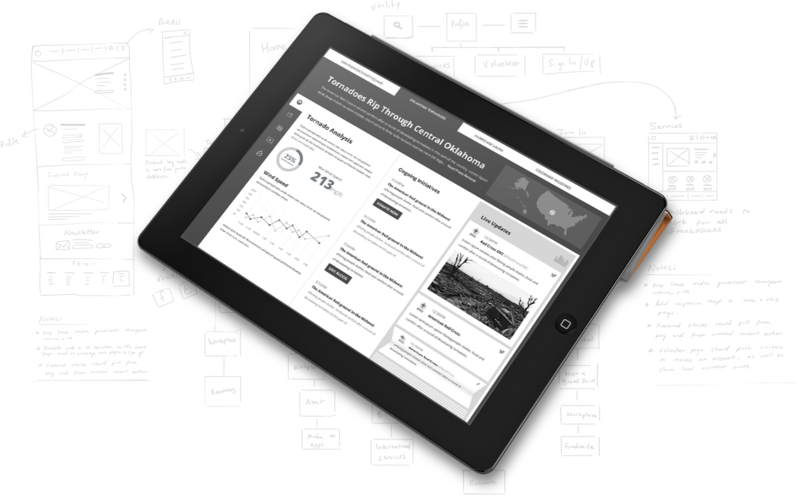 While you have to lug around a physical portfolio, online ones make accessing your work easy and simple. Need a place to start? There are tons and tons of websites out there dedicated to design portfolios. Behance, Cargo, and Dribbble are just a few. Of course, promoting yourself on Facebook, Twitter, and LinkedIn is another great way of putting yourself out there. I label images within my portfolio so potential employers know what they’re looking at. We talk a lot about user experience at WDG. Imagine you’re going through a website and the navigation is a mess. You can’t even find what you’re looking for. Now imagine your portfolio is “organized” the same way. How likely is it that your potential employer will look at your work? When crafting your portfolio, make sure whoever is looking at it can go through your work without guessing what, and where, things are. Be straightforward. Label your work, and write a paragraph explaining what the project was and if there were any challenges. 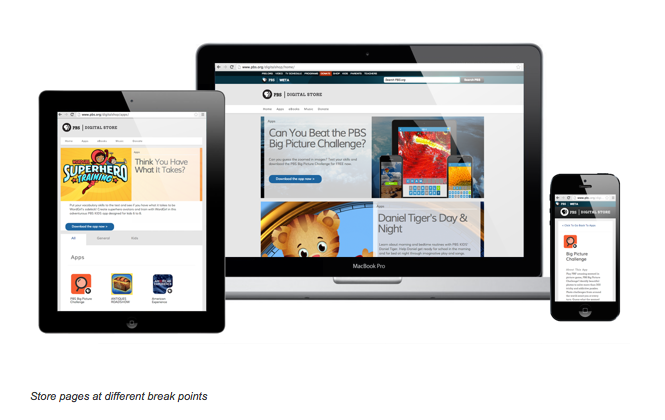 Keep your portfolio’s design accessible. You never know who is going to stumble upon your work and send you an email. People like shiny, polished products. But you’d be surprised how excited a potential employer can get when you show them your sketches and rough edits of a project. Being able to see these can help employers determine how you tackle a project, if you can adapt to difficult problems, and what your thought process is. In the middle of a cool project? Don’t wait till its finished and perfected to show it off! Share it with everyone, no matter if you think it looks good or not. As I’ve already said, be active in promoting yourself. People love watching others grow. Got a job in mind you want to apply for? A strong, well put-together portfolio can help you and your work stand out from the crowd. Have an experience where your portfolio helped you snag a position? Let us know at @wdgtweet!